would this be ok.They wouldnt be long just for when I need to go out. 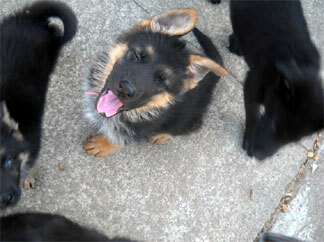 I have 2 gsd litter mates, that are turning 1 in a matter of weeks. They spend most of their day in a pen and are let out during the afternoon to romp and play. They get their walks and the family plays with them also. We built a pen on a concrete slab under our porch, it's is approx 15 X 18 feet. Both dogs have their curanda beds, water buckets and lots of toys. They get a little fiesty from time to time, but in general are each others' best playmates. Both dogs will go into the pen during part of the day on their own to lay down. My dogs are pretty much outside dogs, without having this pen built I would be a nervous wreck about them digging at the fence that is around the yard! My husband and I work and we pen our 8 month GS while we are at work (8 + hours) during the day. We leave lots of toys and a kennel for him to sleep in. Just recently we expanded the pen area to give him more opportunity to explore. We have experienced no problems and no complaints from the neighbours regarding excessive or unnecessary barking. 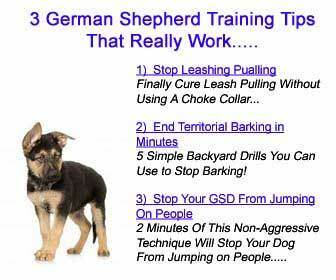 As soon as we get home we take him for a long walk and then we play (includes training exercices for obedience # 1) with him the rest of the evening. He really seems to enjoy his routine and it works well for us too. You'll have your hands full with two. Good luck and look forward to hearing your stories.